We’re consistently inspired by the creative vision of singer-songwriter and innovator Beatie Wolfe. Our Los Angeles team recently had the opportunity to work with her on a short film depicting her latest project, ‘The Raw Space Beam’. The piece premiered at the 2018 LA Times Festival of Books and was also screened privately at NASA’s Jet Propulsion Laboratory at the California Institute of Technology. The film demonstrates how Beatie, with help from Nobel prize-winning scientists, combined her artistry with groundbreaking technology. 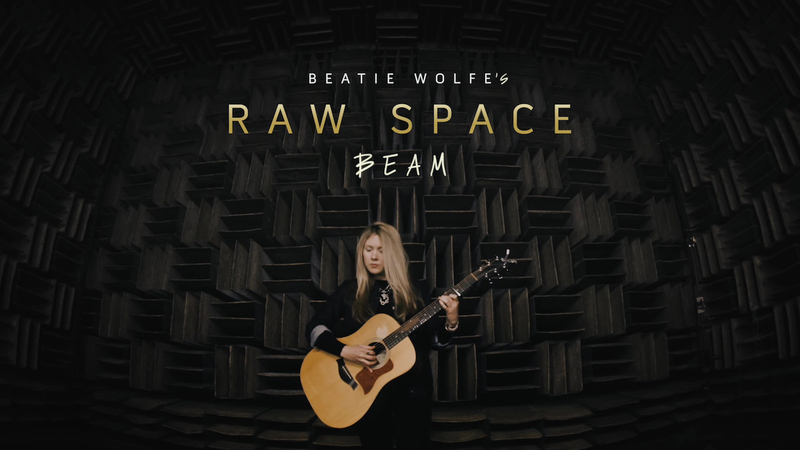 In addition to premiering the film at the festival, Beatie unveiled her Raw Space Chamber pop-up and served as guest curator for the entire NewStory experience, aptly themed ‘Beatie Wolfe’s The Art of Music’. 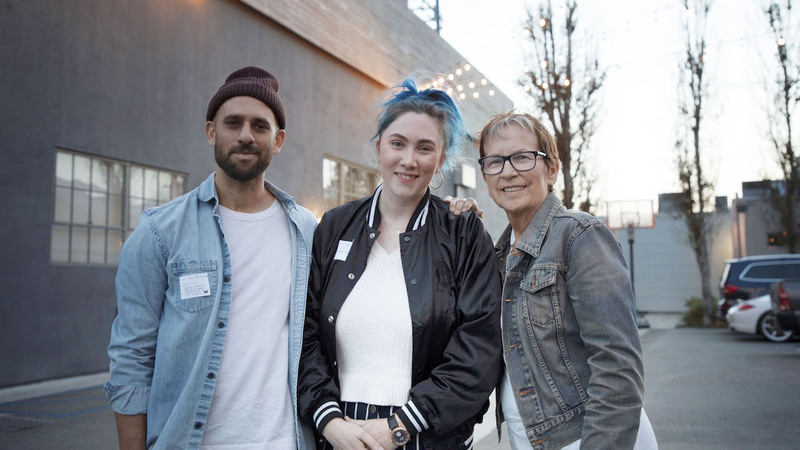 Our Executive Creative Director, Phil Crowe, was invited to take the stage alongside Xperi’s David McIntyre to discuss the fusion of sound and vision in the context of emerging technology, with Magic Leap’s Prudence Fenton moderating. ‘The Raw Space Beam’ opens on archival footage of Nokia Bell Lab’s iconic Holmdel Horn Antenna, which was once used to prove the validity of the Big Bang Theory. A static cut—reminiscent of old film reels—suddenly transports audiences to present day as our protagonist shares the goal of the project: to beam her album, Raw Space, into space using the Holmdel Horn. Beatie comments on the first-of-its-kind experiment, saying, “Not only will we be creating the first fully augmented reality 360 album stream, but we’ll also be the first to beam an album into space, via this horn antenna.” And so, with the push of a button (and a lot of behind-the-camera learning), Beatie and Scientist Robert Wilson do just that. 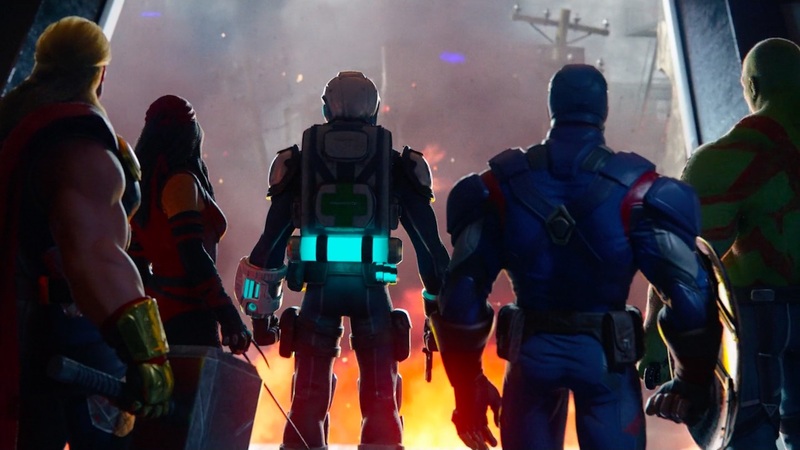 Our Los Angeles team of artists worked closely with Beatie to bring her vision to life; from sewing together the live-action and archival footage, to crafting the series of animations that illuminate the scientific process, to providing a colour grade that fits the dynamic visuals and unique tone of the film. The end result? A visual representation that takes viewers on a journey that starts on earth and ends in the stars. Raw Space touches on the themes I’ve been exploring since my first album, but in perhaps, the most extreme and technicolor way. For this album, it began with a question. What would the anti-stream of today look like. With Raw Space, I wanted to create the antithesis of our current streaming experience and really celebrate the world of the album— its artwork, arc, narrative, music—in a fully immersive and multi-sensory way that makes the listener feel like they’ve been transported into the world of the album. What were some of the challenges you faced as a pioneer with this craft? The whole thing was a challenge as live 360 streaming hadn’t been done at that point, so then combining that with real-time AR graphics that blended seamlessly with the footage and responded to the music in real-time was entirely new ground. So, from the start it was a challenge; we weren’t sure we could pull it off. Luckily Eric Schmidt [Chairman of Alphabet] had seen a description that I had sent Nokia Bell Labs of the vision for the project and loved it, so YouTube was able to assign us bandwidth and make changes in its backend to be able to host this. With ‘The Raw Space Beam’, the Horn had never been used to broadcast, only to receive, so Robert Wilson had to make an update to the Horn (classified a National Historic Landmark) to make this space beam possible. That wasn’t a challenge, but still blows my mind. How much did you know about AR and Nokia Bell Labs before crafting the project? I knew Bell Labs as I had been asked by them to reboot E.A.T. (a program called Experiments in Art and Technology, begun in the 60s with Warhol, Cage and Rauschenberg) and I was very familiar with AR and definitely favored it over VR. But with crafting any project, I believe that the narrative is always key and knowing why you’re doing it. From the first time I visited the Bell Labs Anechoic Chamber, I knew that it would be the perfect stage for the Raw Space anti-stream (as the ultimate listening room) and I knew why live AR would provide the most magical way of bringing the album to life — live from this ceremonial space. How does your piece disrupt the traditional listening process? I think it instills a sense of magic and ceremony into the listening process and facilitates the listener in going deeper. What was the collaborative process like, working with individuals in fields different from yours? I am very used to it as that’s how I have created every one of my album’s innovations or worlds. I have always been very lucky to work with people who inspire me, who I often return to, so it ends up feeling more like a family than anything else such as, Design I/O who did the animation/coding for Raw Space also built my first album 8ight’s 3D vinyl app. Did you have a structure or outline before starting the project? If so, did the end result differ from what you envisioned? I had the vision of what Raw Space would look and feel like and I do believe that we achieved it, even surpassed it. 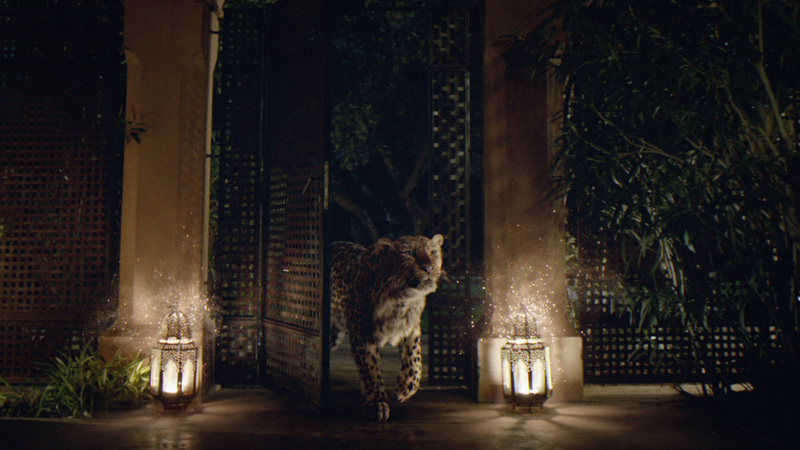 Are there any insights from your album that you hope listeners gain after watching this film? That music is magic and so much more than just entertainment and that we as artists have a responsibility to be as curious and imaginative as possible. I just finished guest curating The LA Times’ first culture/tech festival and I am now working on a large installation for a major European museum, showcasing my album’s artwork over the years. I have absolutely loved working with The Mill in telling the “Raw Space Beam” story and really think you guys rock in every possible way. I hope we can do more weird and wonderful projects together! Be sure to visit Beatie's website to stay up to date with her upcoming projects!